Fascination Foreigner Ian, Entry 4! The past week or so, a lot of people have been on vacation for the Obon holidays; I’ve saved my vacation for this weekend, though. Really though, once you enter the working world it’s rare the get more than a week off at any point, quite a change from our long summer vacations from our school days! In America we get about 3 month for summer vacation usually; here in Japan it’s closer to 6-8 weeks, but there’s a longer winter break to make up for it. Summer vacation was always a great time to hang out with your friends and have fun without having to worry about school. This time around we’re going to take a look at some of those fun things you do with friends. First off is the ever-popular Japanese standard, karaoke! Karaoke is of course widespread in other countries as well, but tends to retain its image as a Japanese-inspired pastime. As a matter of fact, I didn’t actually realize it until writing this entry, but “karaoke” is straight-up a Japanese word. It comes from a compound of 空(kara), meaning “empty”, and the first half of オーケストラ(orchestra) - so literally an empty orchestra, as in without a singer I suppose. I’ve done karaoke in both Japan and America, and the atmosphere is definitely fairly distinct. Karaoke at home is pretty similar between the countries, but in public there’s some fairly big differences. 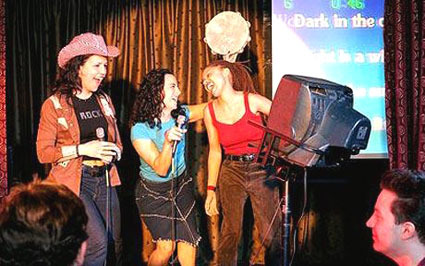 American “karaoke bars” are generally pretty similar to a regular bar, with one stage and karaoke machine for people to get up and sing with everyone, rather than the separate private group rooms that are the most common in Japan. Probably as a result of being more public, the idea of going to a karaoke bar in America has more of a novelty image, i.e. drunk people or people dared by friends being more common participants. I don’t have a great singing voice at all, so whenever I would do karaoke in the states it would be pretty embarrassing, but it’s not quite so bad here. It can definitely still be a little awkward, but doing it in private just with close friends is a different experience for sure. I do wonder though why karaoke is as popular here as it is. In America you can find maybe one karaoke bar in a mid-sized town, but in Japan there’s essentially one around every corner. One reason might be that it’s a fun way to pass the time while the trains aren’t running. It’s also probably popular as a more private place to go to drink with friends when you don’t want to be in a big noisy bar or izakaya! Arcades are more commonly called “game centers” in Japan. The use of the word arcade originated from the penny arcades made up of mechanical games and attractions at fairs at the beginning of the 1900s. Arcades were huge in America in the 80s and 90s, but from the 2000s they’ve all but disappeared. Probably the biggest cause was the popularity of home game consoles, leading people to not see the point of going to the arcade if they can play at home. 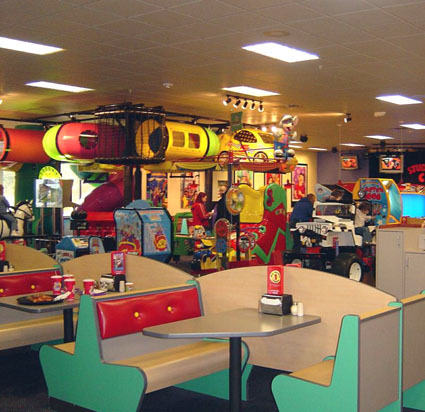 It seems like the most common types of arcades left in the states anymore are those attached to restaurants like Chuck E. Cheese and Dave & Busters, with redemption games being the most popular - and the best moneymakers. So why are arcades still able to thrive in Japan? One of the biggest reasons is the arcade-only attractions - UFO catcher machines, purikura, and the like. They remain a popular and unique experience that you can’t get at home. In America on the other hand, UFO catchers, or more accurately crane machines, have more of a reputation as money-eaters, and purikura essentially isn’t a thing at all. Another thing is that arcades are mostly geared towards kids and teenagers, who in America usually have to rely on adults for transportation. With the train system in Japan, and the general social engineering, it’s much easier for kids to get to arcades on their own. It also seems like, compared to America at least, not that many people play a lot of video games at home here, especially in the past few years. On top of that, Japanese game centers fairly often have a pachinko floor, further expanding their appeal and customer base. Obviously gambling is illegal in most situations in the states, so there’s no easy way to bring that crowd to American arcades. Finally, a little look at movie theaters! The first time I went to see a movie here in Japan, I was going with a friend, and we planned to meet at the theater. As I was used to doing, I timed it to show up just a few minutes before the movie starts, but it turns out this was actually showing up late! At some movie theaters here, you pick your seat when you buy your ticket rather than when you get into the theater, so if you want a good choice of seats you have to get there a little earlier. Usually in the states, a movie will be pretty empty after the first week or so unless it’s mega-popular, but here it seems like crowds are still pretty large in and after the second week (though this could just be a result of the theaters themselves being smaller). Another interesting thing is that almost everyone stays until the very end of the credits here, instead of about half the people leaving as soon as they start. There’s no free refills on popcorn or soda here, but on the other hand a fair number of theaters offer alcohol as well! It’s also common for movie-related goods to be sold at theaters here, which is something you don’t really see in the states at all. 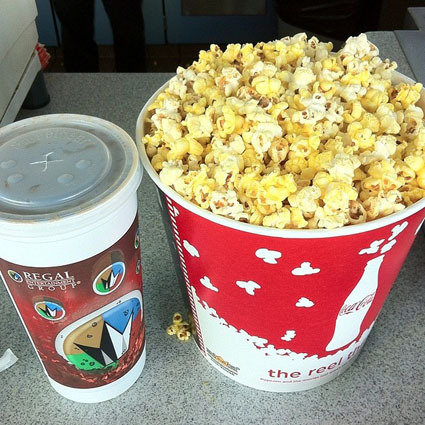 Do we even need refills on tubs this huge? Hollywood movies are pretty popular worldwide, so seeing American movies here isn’t out of the ordinary, but Japanese films in American theaters are relatively uncommon. That said, lately there’ve been limited one-day or weekend-long showings for things like foreign films in theaters in the states, which is nice. The biggest downside of theaters here in Japan is the ticket price. It’s not uncommon for a regular ticket to be 1800 yen, about $18, and pretty much the cheapest they get is ~$10, compared to $5 for matinees in the states. I’m not sure exactly why it’s so expensive, but I definitely don’t go to the movies here as often as I would back home. This month’s music corner offering is from Traffic Jammies - a remix of a commercial for the Kyobashi Granchateu building in Osaka. Granchateu has karaoke, pachinko, and an arcade - everything to meet your entertainment needs! Also, Traffic Jammies has a live show this weekend - check it out if you can make it, info here.